With constant changes in technology in the workplace, more and more companies are hiring virtual employees. According to a survey last year, 46 percent organizations used virtual teams. This number is bound to have increased since. Virtual employees present a new challenge for companies. How can companies effectively onboard these workers? Welcome your virtual employee to your company with a brief face-to-face meeting. A video conference allows new employees to ask all of their questions and get clear explanations. Whether this is through Skype or in real life, face-to-face forms a stronger connection than any other form of communication. As a virtual employee, it can be challenging to learn who does what without the benefit of meeting everyone in person. Introduce virtual employees to your team with visual aids to make things easier. Bonus points if you can invite them to the office, if possible, one day to meet the team for real. Meeting everyone helps the new employee feel part of the team. When bringing on virtual employees, it’s easy to let things slip through the cracks. Have detailed outlines of everything you need from your new employee and everything they need to know from you. A good way to do this is with Google Drive. Have one main document with an outline linking to other related documents. Visual aids like videos, charts, and screen shots are extra helpful. Because of the nature of the environment, virtual onboarding requires lots of written-out instructions. If your new employee has lots of responsibilities, break them up into different parts and introduce them in steps. Wait until the first piece is successfully interpreted before moving on to the next. This way, you’re less likely to have to go back when something is missed. Company culture is just important in onboarding as day-to-day responsibilities. Introduce your virtual employees to more background on the company and other less concrete details. Pair them with a specific employee they can go to with questions in this area. It’s easy to forget about culture with virtual employees. Once you have a system in place for virtual onboarding, it can be easy to neglect its effectiveness. With every new employee, you should evaluate your onboarding process. Once a virtual employee has been on the job for a while, ask for feedback. Now that they understand your company better, what could you have done differently? Implement these changes and try again. 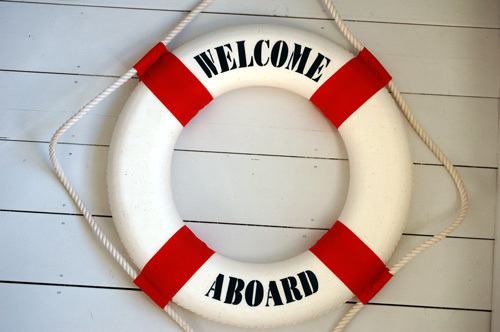 What other tips do you have for successful virtual onboarding? Given the increasing importance of remote teams, Heather, this is becoming increasingly important. Great suggestion, Mohit! Thanks for reading.